Glenn Ricart brings experience in innovation from academia, federal agencies, and large and small corporate experiences. Glenn is an Internet pioneer who implemented the first Inter-net interconnection point (the FIX in College Park, Maryland) and was recognized for this achievement by being inducted into the Internet Hall of Fame in August 2013. In one of his previous roles where he was academic CIO at the University of Maryland, his campus implemented the first institution-wide TCP/IP (Internet) network in 1983 using low-cost PDP-11 routers (“Fuzballs”) with software devised at the University of Maryland. Glenn was the principal investigator of SURAnet, the first regional TCP/IP (Internet) network of academic and commercial institutions. Dr. Ricart has also held other senior management positions including Executive Vice President and CTO for Novell in the 1990s, Managing Director of PricewaterhouseCoopers, and CEO and President of National LambdaRail. Dr. Ricart is also the founder or co-founder of five startups; the one previous to US Ignite, CenterBeam, was sold to Earthlink in 2013 after 14 years of independent operation. Glenn’s formal education includes degrees from Case Institute of Technology and Case Western Reserve University, and his Ph.D. in Computer Science is from the University of Maryland, College Park. His inventions have resulted in more than a dozen patents. Dr. Ricart has served on the boards of three public companies, CACI, the SCO Organization, and First USA Financial Services, in addition to numerous non-profits. William Wallace is Executive Director and brings to US Ignite more than 30 years of experience in the telecommunications industry, most recently as co-founder of DigitalBridge Communications (DBC), a venture-backed startup dedicated to bringing 4G broadband wireless services to underserved portions of the U.S. Prior to DBC, Mr. Wallace was co-founder and CEO of OnePoint Communications, which was purchased by Verizon Communications in 2000. OnePoint and its successor company, Verizon Avenue, provide bundled communications services to concentrated communities nationwide, including apartment communities, military bases, and rural areas. Previously, he served as head of the Telecommunications practice and Chief Operating Officer for Gemini Consulting, a wholly-owned subsidiary of the Cap Gemini Sogeti group. In that role, he led teams that developed strategies and improved operations for many of the world’s largest carriers. Mr. Wallace received an AB degree in Government and Economics from Harvard College and an MBA from Harvard Business School. Praveen serves as the Smart Cities Big Data Program Manager at US-Ignite and brings with him a strong experience in technology, operations & project/program management working across the private, government, academic, utilities and not-for-profit sectors. At US Ignite, he works with cities and industries to create a unified, robust framework for open data platforms to facilitate ease in data sharing. 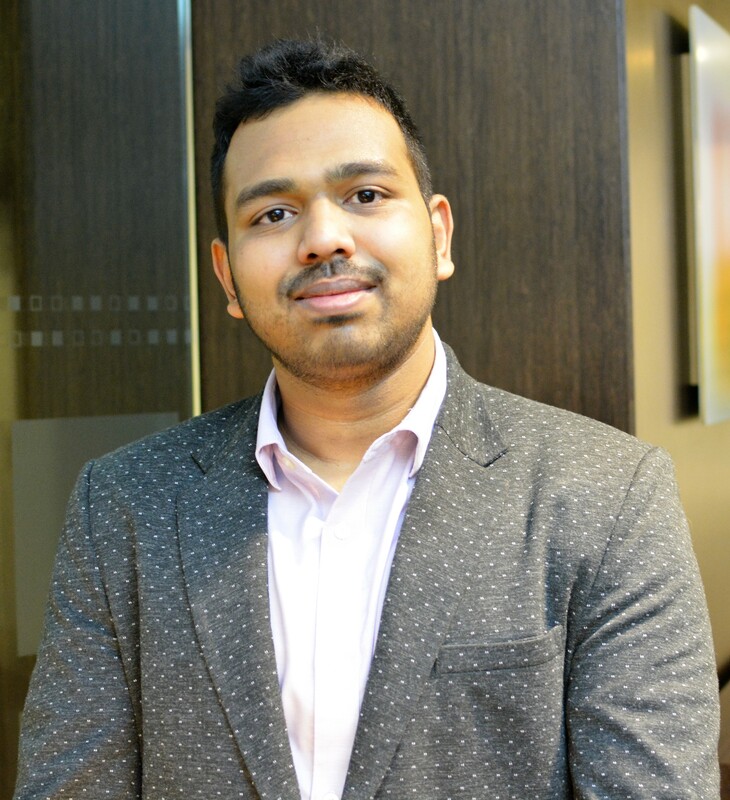 Prior to US-Ignite, Praveen was a Technology & Innovation fellow at the New York City Mayor’s Office of Technology & Innovation where he worked along with the CTO of NYC in formulating the region’s smart city strategies and IOT guidelines, and participated in breakthrough innovative projects such as framing architecture to map IOT devices using device fingerprinting. From 2016 to 2018 he was a lead researcher working on a Con-Edison grant to pre-emptively detect leaks in gas distribution using artificial intelligence and machine learning. He also co-taught classes to graduate & undergraduate students at the Urban Infrastructure Institute at New York University. Prior to this, in India, Praveen worked as a Senior Design Engineer at Larsen & Toubro and was responsible for engineering, design, and research for smart cities projects. He successfully led and delivered large-scale automation projects and was responsible for overall operations, engineering, commissioning and project management. Praveen holds a master’s degree in Urban Systems from New York University and was commended as a Graduate Scholar. Lee Davenport is the Director of Community Development for US Ignite. For almost 20 years, he has worked with non-profit organizations, corporations, and government agencies to create and deliver technology-informed economic empowerment strategies to communities nationwide. He has expertise in program design, multi-partner program development, communications, implementation, and evaluation strategies. Before joining US Ignite, Lee founded a successful consultancy delivering strategy and operational leadership for nonprofits and private sector agencies delivering consumer technology to low-income communities. Prior to that, he served as Vice President, Programs at One Economy Corporation leading a national effort for digital literacy and broadband adoption. Lee is active on the Board of Directors at Capital Area Asset Builders (www.caab.org), a regional financial empowerment nonprofit organization, where he has served as President of the Board for four years. Lee has a Bachelor of Arts in Psychology from the University of Texas at Austin and a Master of Science in Urban Policy/Nonprofit Management from the New School for Public Engagement in New York City. Meghan Histand, Director of Program Operations at US Ignite, is a client and program focused professional offering more than nine years of experience in program development and management for the Federal government and private corporations. Meghan possesses an aptitude for analytical thinking and experience with in-house and external consulting, project management, strategy formulation, data analytics, performance management, and business process redesign (BPR). Meghan is passionate about ensuring operational activities are appropriately aligned with strategic, programmatic, and financial goals. Prior to joining the US Ignite team, Meghan led a team in activities involved with the oversight, monitoring, and administration of nationwide grants totaling nearly $500M for a Federal agency. Meghan majored in Accounting and Economics at James Madison University and earned an MS in Business Analytics at Indiana University’s Kelley School of Business. Nancy Jemison offers 30+ years of private sector and Federal program management expertise to US Ignite. As a senior project manager, she served as the lead analyst and author of a $1 billion information technology infrastructure modernization project for Immigrations and Customs Enforcement; a $550 million Customs and Border Protection investment; a $250 million investment for Detention and Removals Operation, and she managed the Department of Interior trust management improvement projects. She has also trained more than 2,000 Federal employees and contractors on project management, financial analysis, performance measurement, earned value management, and contracting. As a former CFO and CIO at the Bureau of Indian Affairs, she has hands-on experience in managing nation-wide IT, budget, accounting, procurement and administrative operations in a $2.2 billion federal agency. Nancy majored in Education and Economics at Dartmouth College and earned an MBA at the Stanford Graduate School of Business. She is a member of the Seneca Nation of Indians. 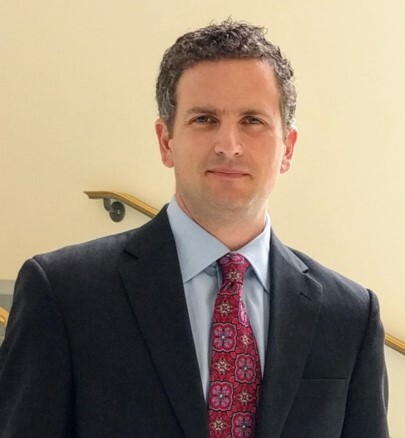 Joe Kochan serves as the COO of US Ignite, responsible for day-to-day operations, finance, and program management for the national non-profit organization, which is based in DC. Prior to US Ignite, Joe worked as part of the Department of Commerce’s BTOP grant program. Prior to that role, he was a founder and Vice President–Operations of DigitalBridge Communications (DBC), a Virginia-based startup backed by over $40M in venture funding dedicated to bringing broadband services to small, underserved markets nationwide using broadband wireless technology. Previously, he was with Verizon, with responsibility for strategic planning and strategic project management, specifically focusing on the military housing market and the implementation of the first Verizon FiOS networks at military bases across the country. Joe received a Bachelor of Science in Engineering degree from Princeton University and lives in Washington, DC. Arnold Liyai is a Program Manager for US ignite where his responsibilities cut across several programs: US Ignite Forum, where he works with the team on developing workshops around the country and creating playbook materials; CloudLab, where he serves as an evangelist; and a new partnership program with Knight Foundation focused on building funding tools for smart cities. Prior to joining US Ignite, Arnold worked with Smart City Works, an infrastructure actuator in Virginia as an associate. He spent several years working in the IT Industry in Kenya with Microsoft East and Southern Africa, where he held different positions handling distribution operations, anti-piracy efforts, and local government engagement efforts during his time there. 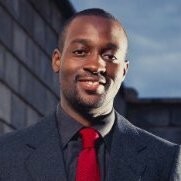 Arnold later worked with Crescentech, a Microsoft partner, as Head of Software in Nairobi. He is a graduate of the University of Nairobi, Kenya and is currently a full-time graduate student pursuing an advanced degree in Urban and Regional Planning at Virginia Tech’s National Capital Region campus in Alexandria, Virginia. Nick Maynard is Chief Strategy Officer of US Ignite, where he is responsible for designing and executing the organization’s growth strategy. Nick received his BA and MA from the University of Chicago and a Public Policy PhD from the University of North Carolina at Chapel Hill. His dissertation research on national ICT adoption strategies was supported by a National Science Foundation grant. Rick McGeer is US Ignite’s Chief Scientist. He received his Ph. D. in Computer Science from the University of California at Berkeley in 1989. He was an Assistant Professor in the Computer Science Department at the University of British Columbia, until returning to UC-Berkeley as a Research Engineer in 1991. In 1993, he co-founded the Cadence Berkeley Laboratories, the research arm of Cadence Design Systems. In 1998, he co-founded Softface, Inc., where he remained as Chief Scientist until 2003. In 2003 he joined Hewlett-Packard Laboratories, transferring to HP Enterprise Systems in 2013, where he was a Distinguished Technologist. Dr. McGeer co-founded the PlanetLab consortium in 2003. Today that is morphing into Edge-Net.org, a new viral edge cloud he’s leading the effort to birth. In 2013, he joined US Ignite as our part time Chief Scientist. He is the author of over 90 papers and one book in the fields of Computer-Aided Design, circuit theory, programming languages, distributed systems, networking, and information system design. His research interests include logic synthesis, timing analysis, formal verification, circuit simulation, programming languages, networking, wide-area distributed systems, and cloud systems. He has acted as a Principal Investigator on three DARPA and three GENI projects over the past two decades. He is an Adjunct Professor of Computer Science at the University of Victoria, Victoria, BC, Canada. 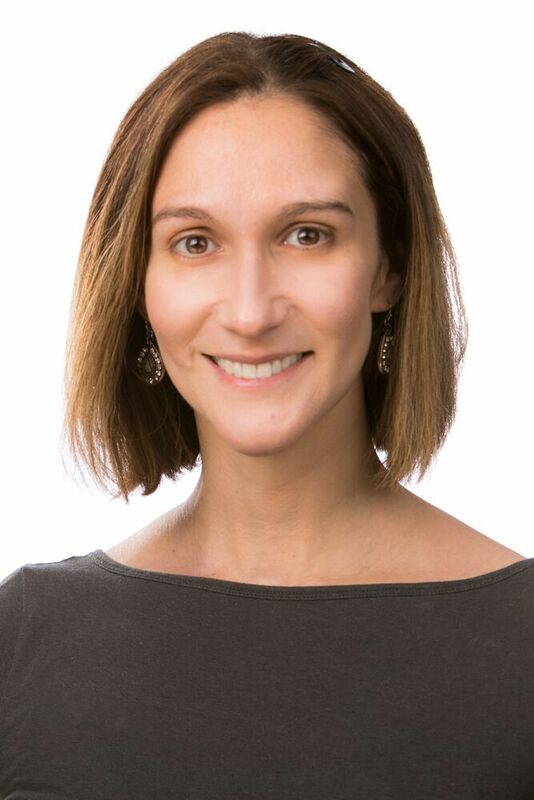 Mari Silbey is Director of Communications for US Ignite and Director of US Ignite Forum, convening workshops around the country that bring local government officials and their partners together to share smart city challenges, strategies, and best practices. Prior to joining US Ignite, Mari spent several years as a journalist covering broadband infrastructure, video delivery, and smart cities. Her telecom and cable roots go back further through work as an independent writer and analyst with both analyst firms and several private-sector companies including Limelight Networks and Motorola before its acquisition (and later sell-off) by Google. Mari is a graduate of Duke University and lives in Washington, DC. Scott Turnbull is the Director of Technology for US Ignite and is a key member of the Smart Gigabit Communities team. He brings twenty years of experience in academic, scholarly and public sector IT to the team. Prior to joining US Ignite, Scott served as the Technology Section Chief for the joint State and Federal public safety force managing the UCI Road Race event in Richmond Virginia and managing IT planning for public safety applications and infrastructure with Henrico County Virginia. From 2011 to 2015 he served as the Head of Technology of the Academic Preservation Trust and collaborated on the technical architecture of the Digital Preservation Network, both piloted at the University of Virginia as a joint digital archive for a consortium of 17 to 50+ major research universities nationally. Prior to 2011 Scott worked as the Head of Software Engineering at the Emory University Libraries helping to start the Digital Scholarship Commons, and managed or developed dozens of projects for Digital Scholarship or Scholarly support. He is also a veteran of the US Army, having served in the Intelligence Corps. Outside the office, Scott enjoys volunteer community service, particularly with communities facing poverty and working to open access for underrepresented populations in information technology. He also enjoys reading and has a strong fondness for museums and historic sites.